Grain has become a precious commodity during Suzanne’s year of eating locally. Photo by Suzanne Crocker. Precious, precious grains of wheat and rye. This is how I think of them now. Every food has become more precious to me since starting this project of eating only food that can be hunted, foraged, fished, grown, or raised in Dawson City, Yukon. Just prior to the ‘freeze-up’, that time of year in October and November when the Yukon River is too full of ice to boat across, but not yet frozen enough to cross by foot or by snowmobile, Otto at Kokopellie Farm handed me a 25 kg bag of wheat grain and a 25 kg bag of rye grain. The wheat grain has been disappearing all too quickly thanks to sourdough bread and Christmas baking experimentation. So I now am turning my attention to rye flour and saving the wheat for special occasions. I carefully consider how much flour a recipe calls for. Two cups or less and I’m in. More than 2 cups and it’s usually out. There hasn’t been much sourdough bread recently in our household for just that reason. I also carefully consider if rye flour could be substituted for wheat flour and in many cases it can. Thus far in my experimentation it seems that rye flour makes dough stickier. But it easily works in many recipes including this delicious Saskatoon Berry Beet Cake, by Miche Genest. It makes a great 9×9-inch ‘spice cake’ or muffins. The grated beets make the cake moist and add a charming pink colour to the batter. The birch syrup adds sweetness as well as a cinnamon/allspice flavour. 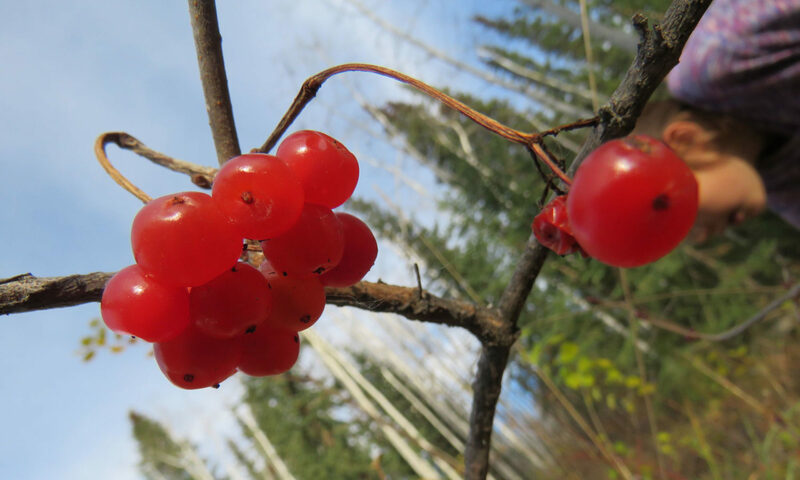 Although any berry would do, Saskatoon berries and birch syrup just taste like they were made for each other! Do you have a recipe that uses rye flour (but not more than 2 cups!) – let us know. Next PostNext Suzanne’s Blog: It’s Seed Catalogue Time!